Happy Sunday! 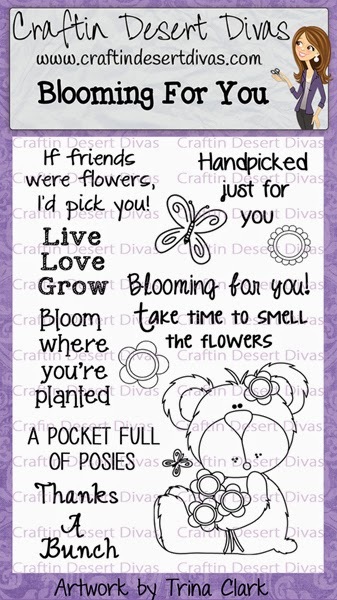 Today I'm sharing this Lori Whitlock flower shaped card I bought in the Silhouette Store. 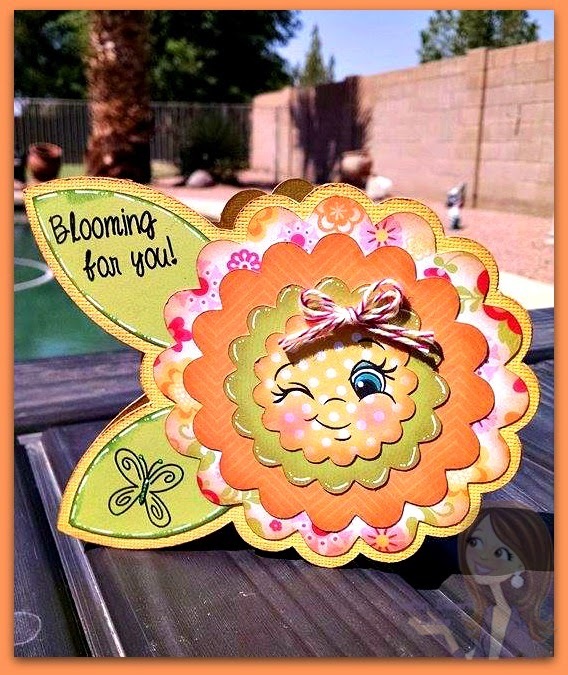 It was so easy to put together and it's a perfect match for my new CDD Blooming For You stamps. My papers are from Lori Whitlock Summer Bliss. Here's a close up of the sentiment and the butterfly I've used from the stamp set. To complete my card I added a Christmas In July PKS face and Trendy Twine bow. I hope you enjoyed the July stamp release. It was super fun sharing everything with you. I truly appreciate all the support from everyone. This was another awesome release!!! You can purchase these stamps HERE. We have a few specials I want to share with you!! 1. Every purchase receives a FREE Too Cute by Jessica SVG pattern made especially for this release. 2. With a minimum 2 stamp purchase you will receive a FREE mini stamp. 3. Use code: JULY to save 20% off your ENTIRE purchase. The mini stamp & sale will end Aug. 1, 2014. Tara, this card is truely adorable! Matches perfectly with the sentiment, and the face is just adorable!! What a super cute shaped card! 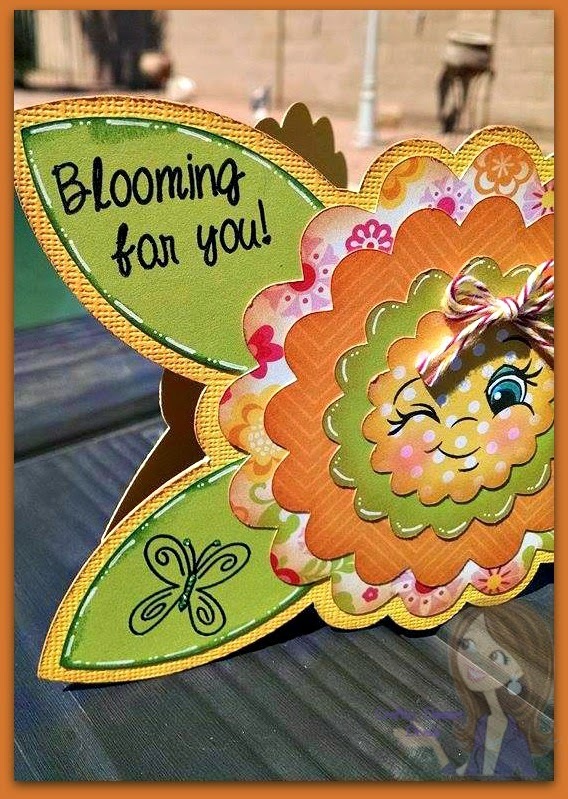 The colors are so bright and love the adorable little face and the stamping on the leaves...it certainly screams summer! Love it! I love this!! Adorable!! Love the PKS face! ADORABLE!!!! Loving this little cutie!! Awe what an adorable card!! So sweet, love that peachy face! !